Regarding the ongoing [time of writing: 18:30, 12/5/17] international cybersecurity incident, currently affecting – amongst many others – a number of NHS hospitals and GP practices. 4) At the time of writing, the vulnerability appears to be one used by the CIA and disclosed via wikileaks in March 2017. Microsoft shipped an emergency patch at that point: https://technet.microsoft.com/en-us/library/security/ms17-010.aspx Serious questions need to be asked of those responsible for maintaining Windows-based IT systems, who failed to patch their servers for two months. This entry was posted in News on May 12, 2017 by Phil. 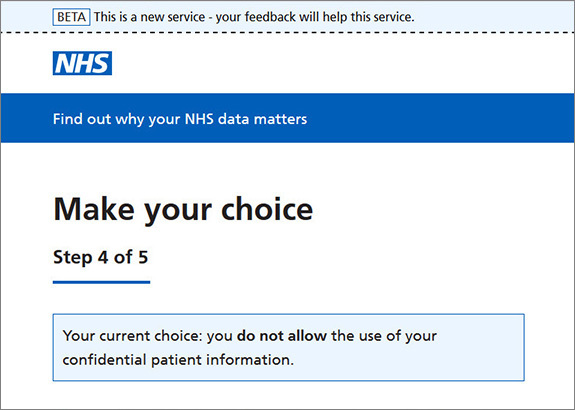 We would like the Government to honour its commitment to a statutory National Data Guardian; to closing the commercial re-use loophole, putting promised safeguards and sanctions in place, and implementing transparency on all data flows across the health and social care systems – but we understand these are details that may not make the cut for a short manifesto. Given all that has happened, would you trust any party that fails to commit to you knowing how your medical records have been used? On what principles will data be used in the Single Government Department? This entry was posted in News on April 25, 2017 by Phil.